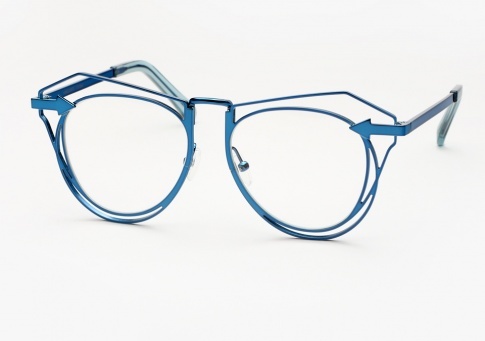 Karen Walker Marguerite - Navy (Eye) Need Help? Karen Walker has explored negative space with her Metals collection. Now, she brings her bold new approach to a collection of clear lenses. Marguerite is an adaptation of Karen Walker's beloved Number One design. Chic-meets-eccentric in this stunning cat-eye shape. It is offered here in navy with blue temple tips.